Nouvelle-Aquitaine, Charente, Beaulieu Sur Sonnette. 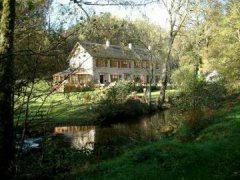 Nouvelle-Aquitaine, Creuse, 8 kms south of Felletin. Nouvelle-Aquitaine, Haute-Vienne, 1 km from Saint Julien Le Petit. 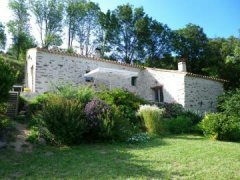 Traditional style house in beautiful countryside location across the valley from the village of Saint Julien Le Petit with its small hotel/bar/restaurant & Post Office. 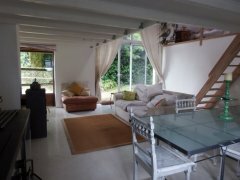 The house is set within private gardens with own entrance & parking. Use of hot tub. Ideal base for your property search with dry storage if required. 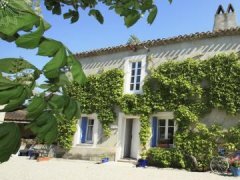 The spectacular setting of this beautiful gite is breath-taking. Nestling into the hillside the views from all windows & the gardens are stunning. If peace & quiet, the sounds of bird-song and gentle tumbling water from the natural spring is what you require Honeysuckle House is the place for you. 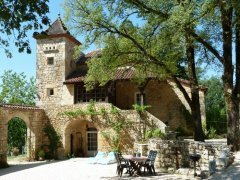 Nouvelle-Aquitaine, Vienne, 10 minutes from the N10. 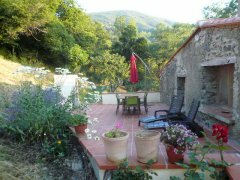 In the heart of rural France this gite offers calm and serenity. 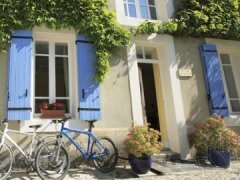 With being only 10 minutes from the N10 access to attractions like FuturoScope and Les Vallee des Singes is quick and easy. 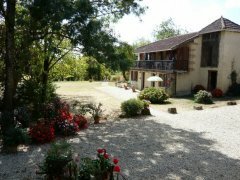 The nearest village is Chaunay (4km) which has all the amenities you would expect to find in a typically French village. Just a few km further there is the larger town of Civray which has banks and supermarkets. 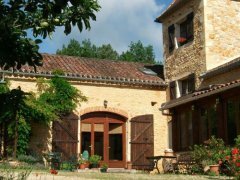 Occitanie, Gers, 4 kms from Masseube. 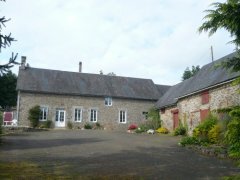 Conversion of an ancient barn to form two charming and self-contained cottages together with 13m x 8m pool and our 235 year old farmhouse all in .50 ha of grounds with private access drive leading to ample parking. Au Broca is set in a tranquil, elevated, location giving magnificent views of the Pyrenees and surrounding countryside but is only 4km from the active market town of Masseube where a full range of amenities including Supermarket, Bars, Shops, Restaurants, Banks, Garages etc. are all available together with Doctors Surgery, Pharmacy and other medical facilities. Occitanie, Lot, 5 kms Montcabrier and Puy l'Evêque. 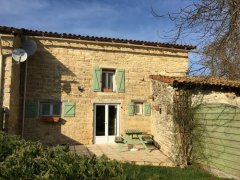 Occitanie, Lot, 1 km from Montcabrier (46700). 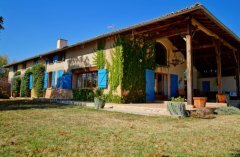 Magnificent Restored Country House in a unique, beautiful setting of 8ha (20ac). Woodlands, orchards, fields: nature on your doorstep! Occitanie, Pyrénées-Orientales, Saint Marsal, 45 kms from Perpignan.